A new year, a new slew of books! I cannot properly describe this book without giving away very important information but let us just say that there is a sad story behind the, what seems at first, frivolous, beginning. The phrase that struck me most was, when asked about her day, Rosemary is told to “start in the middle”. She tells the story by starting from the middle, then goes to the end of the beginning, then the beginning of the end until we get all the pieces to the full story. Thank you for suggesting it, Safia! You were right, I truly did enjoy it! My second read was supposed to be the Martha Beck one: Finding Your Way in a Wild New World and I will continue picking it up and reading a chapter here and there when the mood strikes. It didn’t last month. 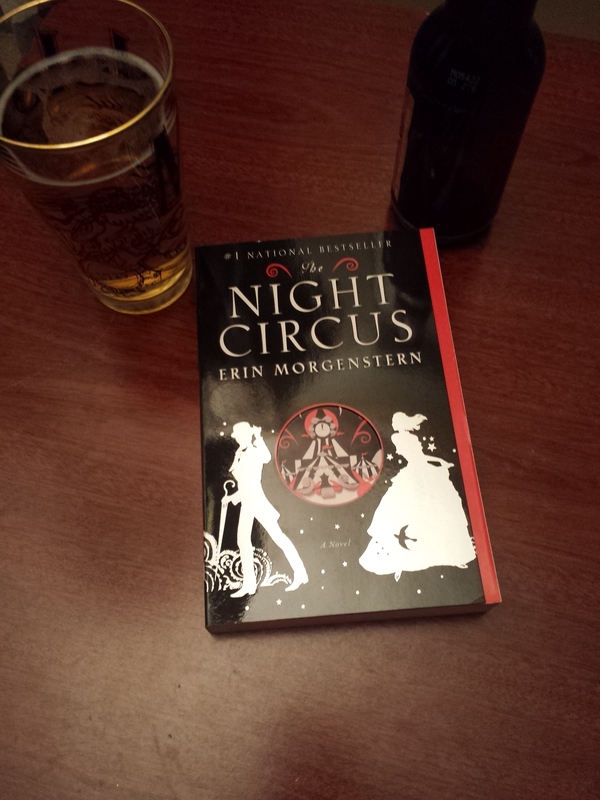 So, without further ado, this month’s choice was suggested to me by my niece, Jennifer, The Night Circus by Erin Morgenstern. The circus arrives one day without any advance notice, opens only for one night after sundown and disappears the next day. It is called “Le Cirque des Rêves” (Circus of Dreams) and is a unique experience. So looking forward to getting more into it! So far, so good! This entry was posted in Books and tagged Erin Morgenstern, Karen Joy Fowler, The Night Circus, the year in books, We are All Completely Beside Ourselves. Bookmark the permalink. Another one that sounds intriguing! Thanks for the tip. I’m always in the middle of a book and this one, Night Circus sounds right up my alley. You sound good. Are you back in the kitchen? I’ll let ya know as I move forward in the book. I’ve got my moments…but yes, I am back in the kitchen! Love your enthusiasm! I am reading A. Lamott’s Small Victories and liking it well enough . . . Thanks! Hmmm…enough to recommend it? Yes! Her Bird by Bird was my favorite so i hold all others up to that standard. But Small Victories is a good read. Hi Dale, interested in that notion of ‘start in the middle!’ That’s going to stick with me. It definitely did with me… My very time reaction was: How insulting! I’ve got time for you but not that much so don’t waste it! I have that on my shelf. I was given it for Christmas a few years ago as part of a set of three books. I’ve read the other two, wonder why I never got around to reading this one. Oddly enough every book that I have put off reading because I’ve not really fancied it, I have in the end LOVED. The Glass Palace is one of those. It took me years to get around to reading it and now I read it at least once every year! Funny how that happens! I’ve had books that just seemed “meh” and avoided and when I finally picked them up, was pleasantly surprised! BTW I always thought your blog was called A DALEctable Life. I’ve only just realised its proper name!